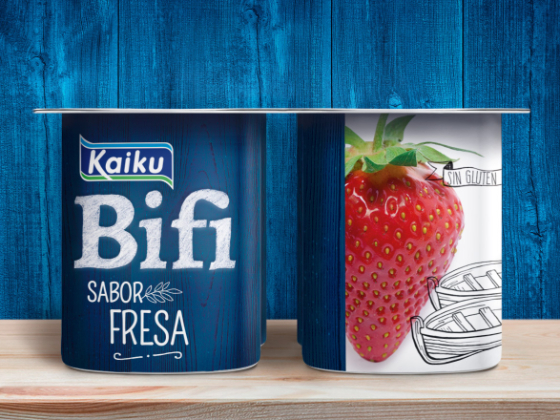 We created a packaging which leaves the health argument, typical of bifidus yoghurts, in the background, to concentrate on conveying values of naturalness; the environmental commitment of a rich and tasty product. We revisited the packaging for the whole range to define the visual structure and the architecture of the messages. 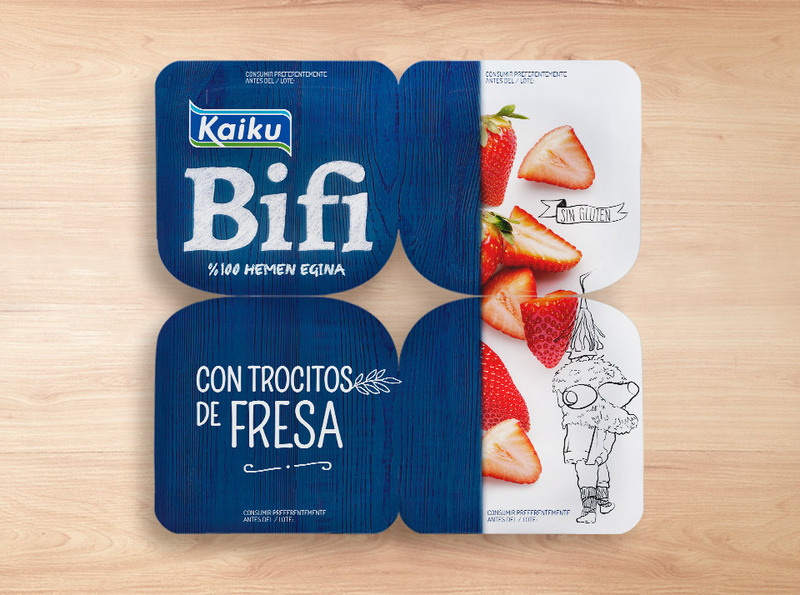 By renewing the brand and all the visual codes of the product, we chose to leverage communication in a trusted vector, with typical iconic elements of Basque culture, which serve both to attract the customer and to evoke the origin of the product. Lay-out definition which organizes and simplifies the information. Nature reflected in the use of textures and noble materials such as wood, together with manual typography to show authenticity. We included illustrations of recognizable uniquely Basque cultural elements. The brand, as a confidence generator, gains presence and dimension as a whole. The codes which help in segmentation are product photographs, unusual for the category, with no retouching tricks or tweaks, interposed with illustrations which highlight the taste. We open bridges between tastes and invite the consumer to discover them with elements which generate cross selling.